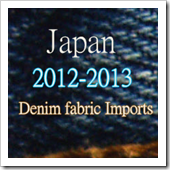 Japan is the most important region for denim production , when we speak of niche , premium and selvedge denim fabrics. While Japanese producers love their own denim and most of the jeans produced in Japan is made from their own denim. However, there is some quantity that is being imported from different countries. Average prices from each destination and as a consolidated figure will be there in a table. It would be interesting to see the average weight of fabrics being imported from different countries. 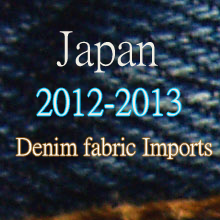 Some surprises here as Japan is normally considered to be fond of heavier denims.